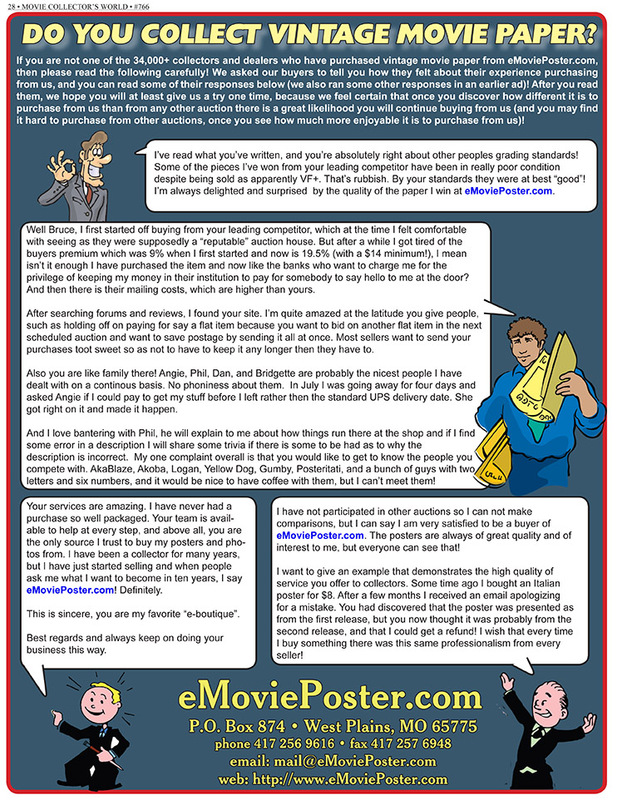 Below you can see a description of many common poster types and other items (such as lobby cards and stills). We don't list everything that exists because that would be thousands of different types! 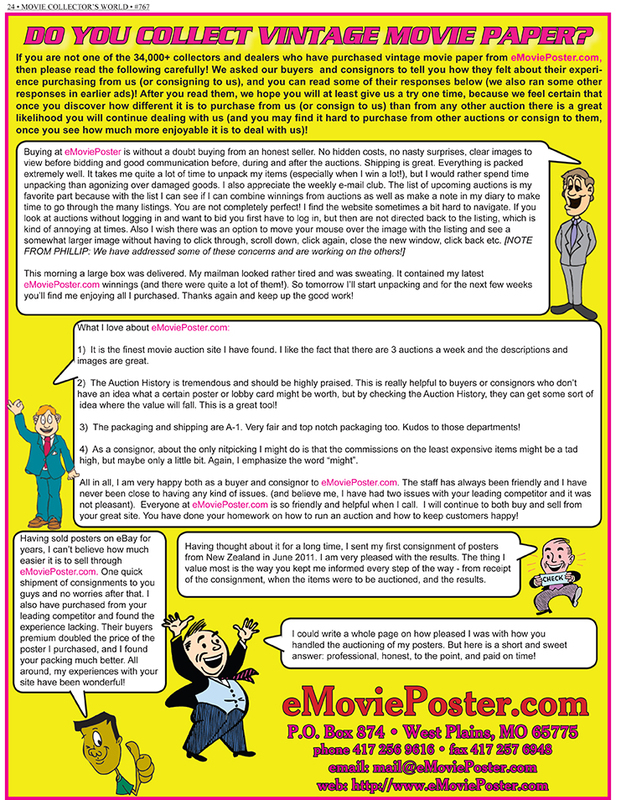 But this is a great beginners guide to many movie poster sizes (both U.S. and non-U.S.). To use this page, look at the "tree" list below and to the left. These are countries and sizes. You can click on these to see the description of the type of item. Along with some of the countries and sizes, there are minus ( ) signs and plus ( ) signs next to the country names and poster sizes. These are the "types" that you can choose to see more options. If you click on a plus ( ), you can see additional types. For example, when the US option is opened, it turns to a minus ( ) and you can then see all the various sizes, such as 6sh, 3sh, 40x60, 30x40, 1sh, etc. Some of those sizes can be further expanded such as "still" which which you click the plus ( ), you can then see 8x10, 11x14, and 8x10 LC. Also, when you select a size, not only will it show you the description of what that is, you will also see an example from our Auction History, and if we currently have anything for auction from that size, you will also see an example of one that is at auction! 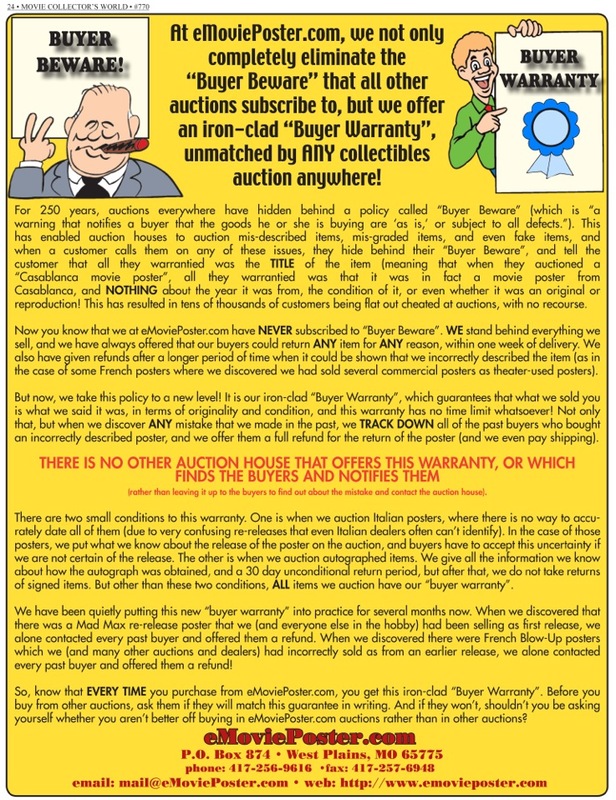 Both examples are clickable so you can view the example items in our Auction History and our auctions. Finally, note that in our weekly auctions and Auction History, if we have a description of a size, it will be linked from the item's page. 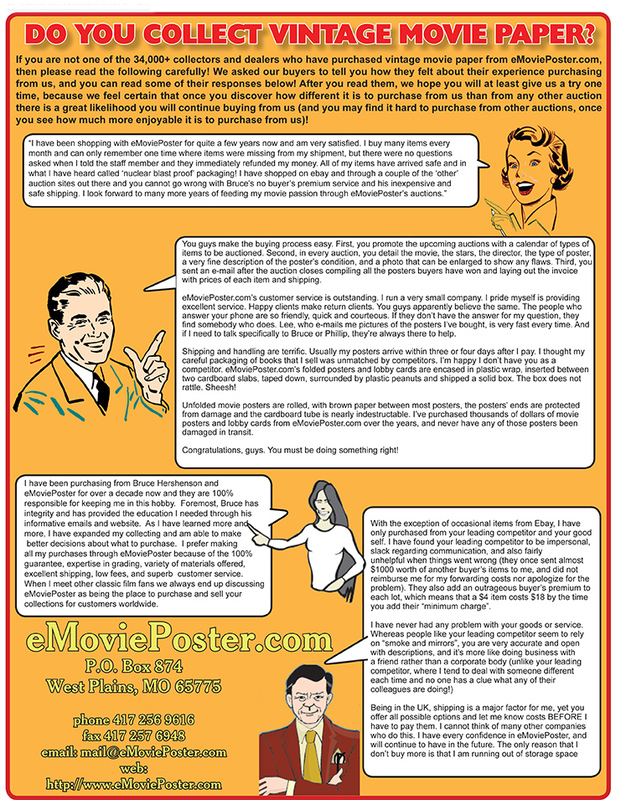 We also describe items generally in large red text (such as "An Original Vintage Poster") followed by a "Learn More" link. If that link is there, click it and a small window will appear with a brief description of that item type.